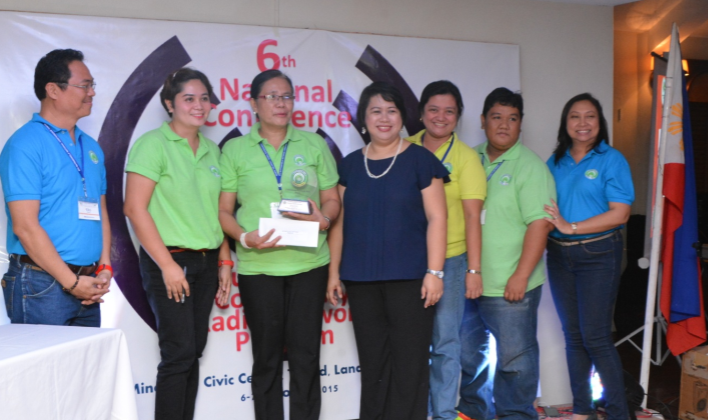 DZNF Radio Kailian (97.3) brought home five major awards in the 1st Nutriskwela Awards during the 6th National Conference of the Nutriskwela Radio Network Program of the Department of Health Head Office, October 6-8, Mindanao Civic Center, Tubod, Lanao del Norte. The station bested 34 other competitors from Batanes to Tawi-Tawi. 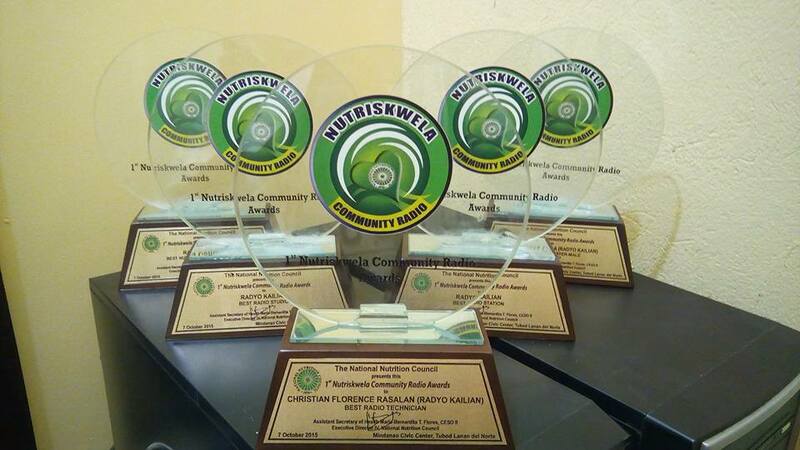 The Community Radio bagged the following awards: Best Radio Station, Best Nutrition Program and Best Radio Studio. Further, Mr. Joemar “DJ Joem” Cabradilla was adjudged as the Best Male Broadcaster and Mr. Christian Rasalan reaped the Best Radio Technician award. The awardees were given plaques and cash prizes respectively. The 1st Nutriskwela Awards , as the first of its kind aims to motivate the management and staff of the various Nutriskwela radio stations to sustain their operations for continuous dissemination of updated and correct nutrition, health and development information in the community they respectively serve.